3.05Lbs, app 7" x 4" x 2.5" at the widest points. 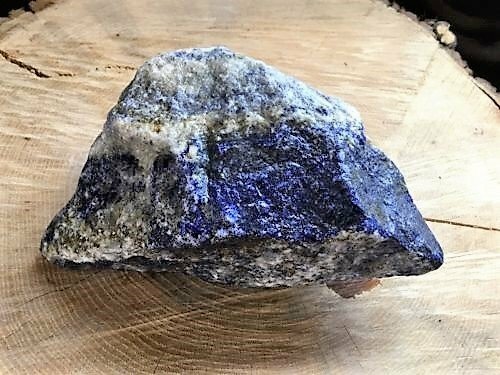 Untreated Lapis Lazuli rough with beautiful blue colors. Please ask if there are any questions. I have many pieces to list so please come back and look at my listings for some beautiful pieces just for you! Need a certain size or weight? Message me and I will look though my huge 2 ton collection to see if I can accommodate!